I love Mr. Rogers anything! It looks so good! I do too! I'm super sad I'm not able to see this one. It conflicts with other films I'm seeing. I hope it comes out on Netflix! I love your recommendations!! I actually love the short series every year. I'm looking forward to the comedy shorts specifically! I also love the Ohio shorts every year too but comedy is my favorite! Can't wait!!! I love love love Shorts! They are my absolute favorite. I wish they would schedule more of them during hours that working people could actually take advantage of. So many are during the day and too late at night during the week. ALL of the Local Heroes Shorts are after 9pm - I'm so sad!! 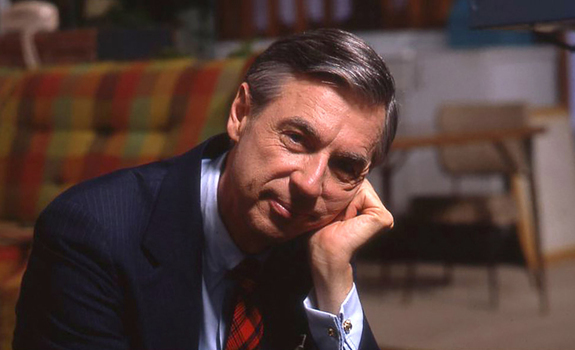 I want to cry with Mr. Rogers. I'm interested in the Mister Rogers doc, too! I'm most looking forward to seeing Time Trial. It's about a controversial cyclist and his 'doping scandal'. As an athlete, I've always been interested with the sport of cycling and imagining the physical willpower it takes to compete at such a high level. Thanks for your top picks! I'm excited for the movie, INTELLIGENT LIVES, which highlights the myths about people with intellectual disabilities. I love a good-hearten movie that challenges a social stigma. There needs to be a change in the narrow ways in which society views disability and IQ scores. Thanks for the other recommendations. I've been so busy I haven't had a chance to looks at the other film choices yet!